I thought that I would be more active in blogging, but all work and studies and no play has been my life since my last post. Last weekend alone, I had to miss two very important events due to other programs that I have given my commitment to earlier. I also have very exciting news that I am dying to share with you guys! It's my first ever TV interview as a fashion blogger! More details? Coming soon. You just have to wait for my next post, OK? Anyway, in my very hectic week, there was this one day that I had classes, work, a meeting, an event and futsal training. On that day, I wore this comfortable, versatile (it can be formal and informal) and cooling Kurung Pelekat from HiDY, which I got when I went to the Launch of HiDY Store. I love it so much, I might just be buying some more. My sister, Syuddy, had her college Annual Grand Dinner. The theme was 'Fashionista'. As she is my closet partner, she asked me if she could borrow something. Anything at all! As she had no idea what to wear. As she is busy in Beranang with her medical posting, I told her that I would handle everything. She can even borrow my super flowy and expensive skirt that I rarely wear myself. She got to the apartment 2 hours before her event. So I laid down 20 shawls of different colours and about 4 different tops. The skirt was hidden in the closet. After she showered and put on her make up, she looked at the clothes and asked me, "Where's the skirt?" I just waved my hand at her and said, "In the closet." I was acting so cool and calm. And her face when she saw the skirt? Priceless! Happy (belated) Birthday, sister dearest! But here's the BEST part of the night, she came back wearing a tiara and sash because she won BEST DRESSED at the event! Miss Gorgeous Fashionista, my sister! Special thanks to my dearest sister, Syuddy for willing to pose for me. 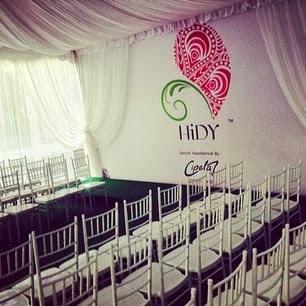 HiDY Store houses two brands which are HiDY Collection and Cipela Shoes. Both are by Hidayah, a young talented woman who had lived in Bosnia beside a shoe factory, Bally for 10 years. Although she has a degree in accounting from the UK, her passion for designing and manufacturing shoes had her making shoes instead. However, as manufacturing custom shoes are expensive, she started HiDY Collection which specializes in tunic tops & other Muslimah wears. The launch of the store was on a Saturday morning, the 1st of March 2014. Other than custom made shoes? The clothes. They specialize in tunic tops, something my grandmother wears. But HiDY's designs are different. They are colourful, bold and the cutting is really flattering on the body. It suits the younger generations, like me, who loves to wear modestly but still cooling. Another really cool thing about HiDY is the baju kurung. They are like pelekat designed, which is super cool. I bought one myself. Will post a look post on that soon, ya? Anyway, enjoy some photos from the launch. The details of the store are below. That's Hidayah, the one behind HiDY. Fiza Shabjahan hosted the opening. 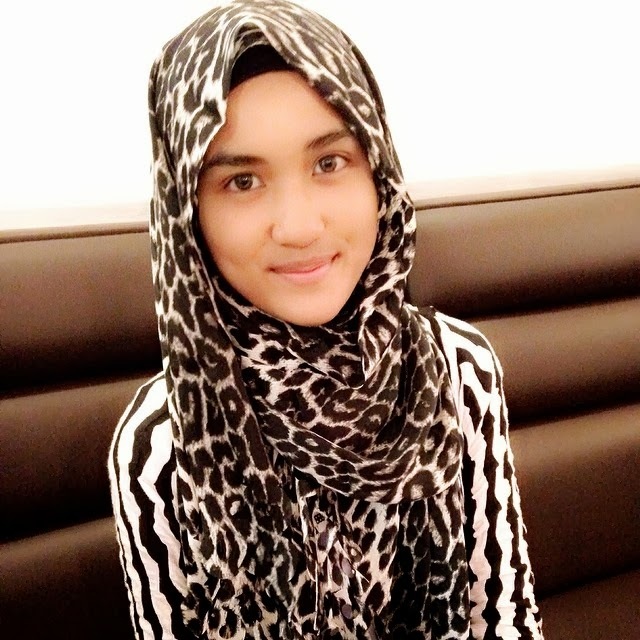 Hidayah had asked her mother to officiate the launch as to her, her mother is her VVIP. Which I this is so amazing and sweet! They also make men's wear. A close up of the shoes. Some of her designs are unisex! With my Sister-in-law, Raja Nadia Sabrina and Cousin-in-laws, Fasha Sandha and Nadia Monira. I scored this Hidy Laser Cut Shawl in my goodie bag. GORGEOUS! p/s. CIPELA shoes will be participating in the Malaysia International Shoe Festival 2014 at PWTC at the end of March 2014.